Welcome to our new and returning members! ACRP China and Asia pacific Chapter continues to focus on providing education and networking opportunities to our members in the region. We are now seeking enthusiastic individuals to work with us as one of the board members. You will join our dynamic team to layout the education events and member recruitment strategy in the forthcoming year in the region. This is a unique opportunity that will broaden your horizon and network within the industry. Please email us at info@acrpcap.org if you are interested. In addition, we have prepared for your various education and networking events in the upcoming year. Do Keep An Eye on our Website! Please bring along your friends and colleagues to one of the events we organize. We look forward to meet with you in one of our functions! For our chapter members, we have installed for you free webinars from ACRP to suit your training need. Below are the topics offered. Please contact us at info@acrpcap.org if you need one of the recordings. How Informed Are Your Research Participants? Informed Consent Procedure: What Can We Learn from Inspection Findings? China FDA has said that generic drugs need to show bioequivalence to the related branded products, adding that the current use of locally made generics will no longer suffice. 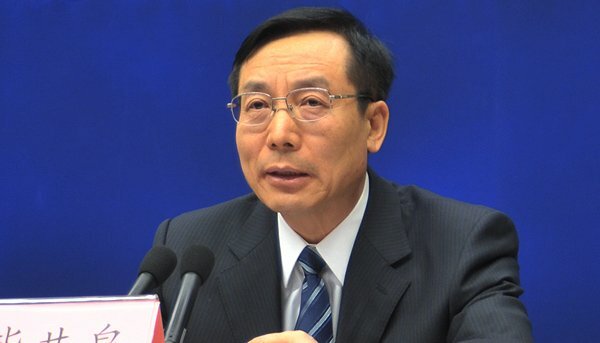 CFDA Commissioner Bi Jingquan (畢井泉) signaled the push in January and repeated it in late February, marking that the quality of generic drugs would be a priority for the regulator in 2016. The latest note on the requirement was released last week, citing a detailed circular that was issued in Chinese language. “Pharmaceutical companies have been ordered to make sure the quality and efficacy of their drugs are on par with brand-name drugs, a move that aims to improve the nation’s pharma industry," the CFDA said in a release that carried an English-language story from state-run news agency Xinhua. “According to a circular issued by the State Council General Office, generic drugs already available on the market should be assessed on whether they are consistent with brand-name drugs, and if they could be used clinically." However, there remains some time before full implementation with generics approved before October 2007 slated to meet the terms by the end of 2018. For drugs that face clinical trials, the deadline is 2021. Local drug firms have resisted past efforts to use branded products as the reference in quality control. But a crackdown on quality that began last year in China has already seen dozens of firms withdraw generic candidates up for approval. CFDA has also said that firms that follow the new standards will be able to cite such testing on the drug label. Read more from the CFDA. On July 11, 2015 , when China FDA commissioner Bi Jingquan gave a speech to a gathering crowd during a ceremony of Peking University’s Pharmaceutical Engineering Management class, no one realized that it was the start of a new era of drug regulation in China. During the speech, Bi adopted an unusually stern tone, warning drug makers in the country to improve quality or face being forced out of the market. A flurry of new policies followed. Seven days after the speech, the CFDA released a massive list of 1,622 drugs, from both multinational and domestic firms, requiring manufacturers to conduct clinical data audits on the listed products that were pending approval. Then, more regulations came along. Marketing authorization holder pilots, re-classification of new drugs, and a bioequivalence testing mandate for over 800 generic drugs were just some of the most notable changes. “There’s hardly one day goes by without something new from the agency," one insider observed. Now that a year has passed, what are some of the lessons that can be learned from these significant changes? One of the issues confronting drug firms in China is seemingly the fast pace of all the changes, which have been dizzying even to veteran regulatory affairs professionals, some say. “Generally speaking, the Chinese pharma industry is becoming more regulated," Weiping Li, former director of regulatory affairs at Johnson & Johnson China, told PharmAsia News in an interview. The benefits are evident, as overall R&D capabilities are improving, quality control is tightening, and clinical data wrongdoing including data forgeries are declining, Li noted. Indeed, without the regulatory “shock and awe" approach, some of the outstanding issues may not have been tackled with such lightning speed, insiders say. Clinical data irregularities, for one, have long been suspected as a major issue impacting the quality of studies conducted inside China. Despite innovative new drugs in the past being delayed from obtaining US FDA approval due to data integrity violations found at Chinese study sites, the issue has remained largely untouched. The CFDA’s July 22, 2015 notice, however, set off a firestorm and changed the situation. Since last July, the agency appears to have been operating in a combative mode, announcing batches of withdrawals, usually with days of previous withdrawal announcements. Fast forward by seven months and by February, out of the 1,622 pending new drug approvals, nearly 80% had been withdrawn by applicants, with domestic drug makers accounting for 89% of the total. Following the crackdown on producers and contract research organizations, the CFDA then turned the heat on clinical study sites. After conducting inspections on products that remained on the list, the agency in late April rejected half a dozen new drug applications based on various clinical data violations. Multiple clinical sites, some within top level AAA hospitals in Shanghai, Beijing and Zhejiang province, were publicized for violating good clinical practice (GCP) norms. But the fast pace of change can sometimes have unintended consequences. “The ‘campaign-style’ operation of clinical data audit" has caused confusion and even outright study rejections at clinical sites, Li pointed out. “Many sites choose to reject all clinical studies [due to fear of regulatory inspections and punishments], and some have announced that their previous results are invalid," noted Li, who also chaired the regulatory affairs working group for many years at the R&D based Pharmaceutical Association Committee (RDPAC), a trade group representing multinationals operating in China. The confusion and panic has actually negatively impacted clinical studies in China, a country where the limited number of sites officially certified by the CFDA have already been stretched thin with the large demand for trials. Part of the CFDA’s strong push to become an innovation-based regulatory agency is the implementation of a pilot market authorization holder (MAH) scheme. The pilot will see the rollout of an MAH system in 10 selected provinces that except Sichuan are mostly in the eastern coastal region. The intention is clear – allow researchers to focus on R&D, leaving manufacturing to contract manufacturing organizations. The MAH system enables a more specialized environment in which startups do not need to make big fixed capital investments, thus reducing spending on non-R&D-related expenditures. However, the definition of an MAH is unclear, Li observed. So far, the only beneficiaries are researchers, who can now turn their ideas into patents, and partner with CMOs to get closer to manufacturing and commercialization.